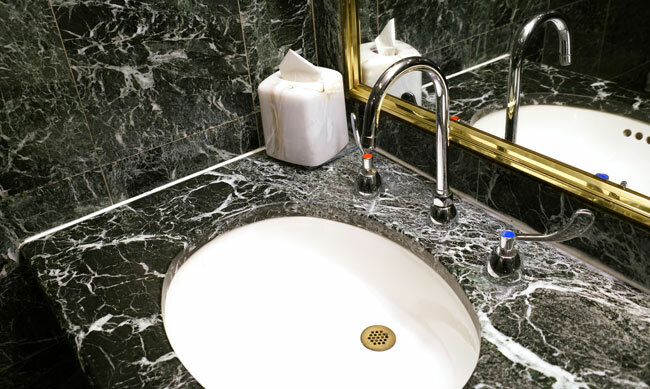 Marble has been prized as a luxury building material for thousands of years. 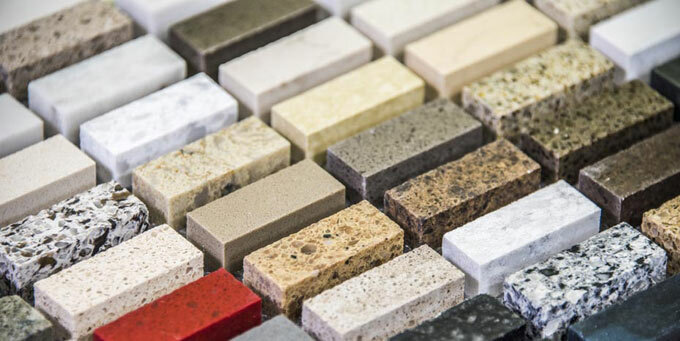 Now, thanks to modern quarrying, shipping and cutting technologies it’s affordable enough that families can add a touch of glamour to their own homes, bringing that 5-star hotel feel to everyday life with a marble worktop, bath or floor. As professional stone workers, we’re constantly inspired by the glamour, creativity and elegance of other stone workers, designers, and architects. Below you’ll find a few of our favourite marble works. 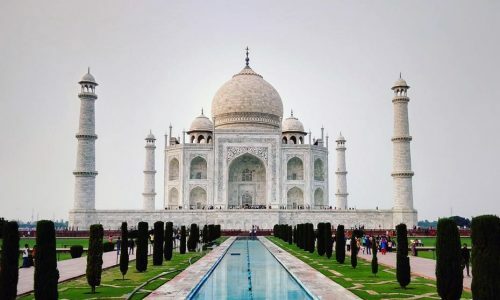 From the Taj Mahal to the Washington Monument, the Parthenon to the Dome of the Rock, marble is used as a building material, flooring or cladding on many of the world’s most famous and beautiful buildings. 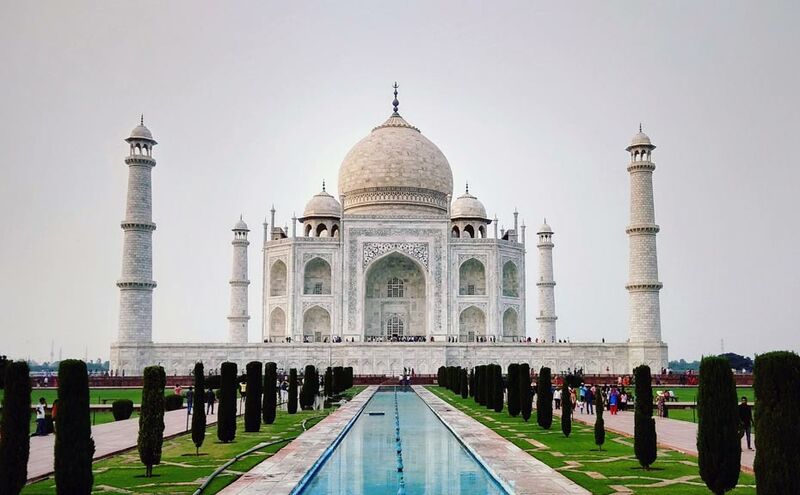 We love the pure white marble of the Taj Mahal, which is made even more striking through its use of a single colour to highlight the complex architectural features. In other buildings, such as the Dome of the Rock, white marble is used as a backdrop for other eye-catching features. While we don’t imagine that our customers will have space for a few thousand tons of premium marble, both design ideas can be applied at home. From the super elaborate to the chicly simple, marble makes flooring a feature. One interesting facet of studying the marble floors in palaces and great houses is that they’re often not as complex as you might imagine. 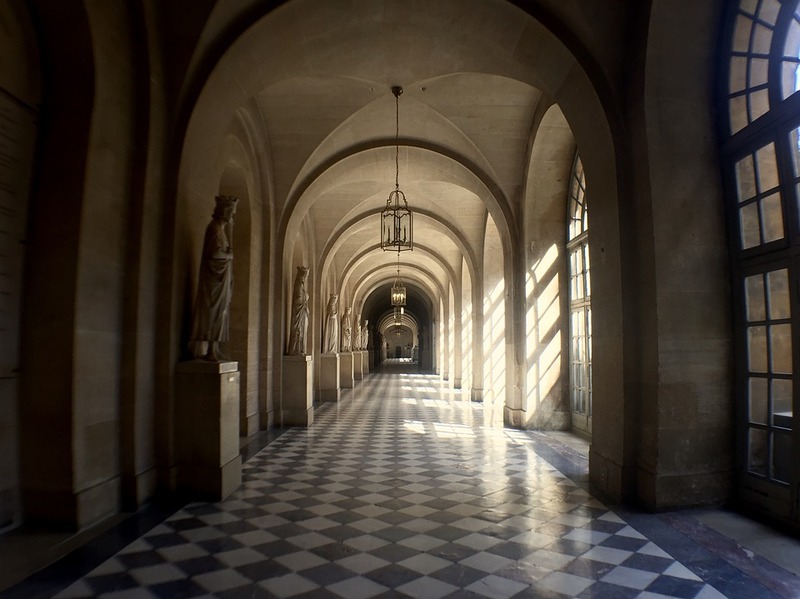 While grand entrance halls and state assembly rooms, such as the hallway at Blenheim Palace in Oxfordshire, might have complicated designs in multiple colours, others use a relatively simple motif to show off the high quality of the stone and act as a foil for the richness of the room. Who knew that a simple checker board pattern could be a design idea you pinch from Versailles? Floors are also one of the few ways to see glorious coloured marbles from previous eras. Historically, most statues were painted to add colour rather than being made of multiple types of stone. Floors, with inlaid patterns, tiling or mosaic designs preserve the variety of marble available to our ancestors. One of the amazing things about marble and other stone is that it can be almost endlessly reused, starting its working life as a large slab and finishing, possibly centuries later, ground to dust but still useful in road building or other construction projects. Loseley Park, one of the fine stately homes near to us in Surrey, famously used stone from Waverley Abbey for its walls, the owners of Loseley taking the finest elements from the abbey when it was disbanded during Henry VIII’s Dissolution of the Monasteries in the 16th century. Today, it’s hard for anyone but an expert to spot which of the marble elements, such as fireplaces and floors, owe their origins to the monks building plans and some keen recycling, but there are certainly plenty to admire.